Alzheimer’s disease currently affects around five million people within the U.S. over the age of 65—thankfully, the ultimate Alzheimer’s diet plan includes a helpful list of foods to eat and foods to avoid. An Alzheimer’s diet plan is particularly important since Alzheimer’s is an unpleasant form of dementia that strips away memory, identity, and ability to function during the most vulnerable years of late life. Until a cure is devised, preventing Alzheimer’s emergence and slowing its advance remains the only option. Fortunately, there is no shortage of studies, surveys, and analysis describing what you can eat and drink to improve your chances of escaping Alzheimer’s. Vitamin A and beta-carotene: This is a pair of antioxidant nutrients that are known to be reduced in Alzheimer patients. Additionally, laboratory tests have found that the combination can keep amyloid plaques from forming—one of the suspected causes of the dementia. Lastly, beta-carotene is associated with improved memory and mental tasks and exercises are also a means of helping stave off Alzheimer’s. Vitamin C: Another antioxidant with the ability to keep plaques from forming. Unlike vitamins A and beta carotene, this result has been seen both in vitro (petri dish) and in vivo (in the body). Zinc: Zinc is known to reduce the presence of plaque signs in the hippocampus section of the brain and in mice it’s been found to reduce memory decline. Additionally, cognitive decline in Alzheimer’s patients has an association with zinc deficiencies, though it is unclear whether this is correlation or causation. Other nutrients, such as the B vitamins or iron are also reported to have antioxidant or other protective effects in the brain. However, the body of research on them is much less conclusive than the three listed above. With alcohol, two or fewer glasses per day seem to have a protective effect, but more raises your risk instead. It is advisable then that you either keep your drinking to a minimum, or abstain entirely. Vitamin supplements may be useful alongside dietary changes, but only in certain circumstances as advised by your doctor. Supplements are highly beneficial as a way to correct any nutritional deficiencies you may have, but if you are eating a proper and balanced diet they will have minimal, if any, effect. “Top 10 Foods Highest in Zinc,” HealthAliciousNess web site; https://www.healthaliciousness.com/articles/zinc.php, last accessed February 24, 2016. 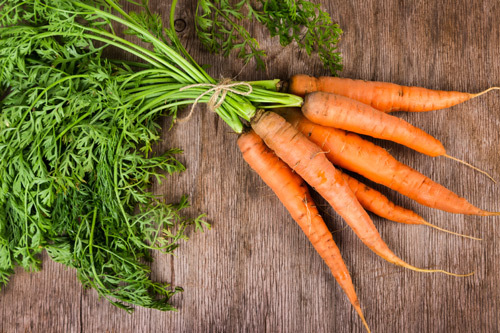 “Top 10 Foods Highest in Beta Carotene.” HealthAliciousNess web site; https://www.healthaliciousness.com/articles/natural-food-sources-of-beta-carotene.php, last accessed February 24, 2016. “Top 10 Foods Highest in Vitamin A,” HealthAliciousNess web site; https://www.healthaliciousness.com/articles/food-sources-of-vitamin-A.php, last accessed February 24, 2016. Hu, N., “Nutrition and the Risk of Alzheimer’s Disease,” BioMed Research International, June 20, 2013; http://www.ncbi.nlm.nih.gov/pmc/articles/PMC3705810/, last accessed February 24, 2016. Pagán, C.N., “The MIND Diet May Help Prevent Alzheimer’s,” WebMD web site; http://www.webmd.com/alzheimers/features/mind-diet-alzheimers-disease, last accessed February 24, 2016.